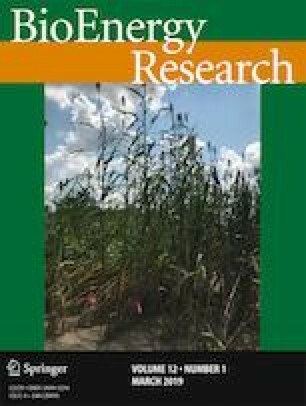 This study aimed to produce ethanol by lactose conversion of dairy coproducts (cheese whey, and whey permeate) using the yeast Kluyveromyces marxianus URM 7404, isolated from cheese whey obtained from the production of Gorgonzola cheese. The fermentation occurred at 30 °C for 20 h under aerobic, microaerobic, and anaerobic conditions for both substrates. The results indicated that ethanol production was greater when using the whey permeate under anaerobic conditions (8.90 g L−1, 18 h of fermentation) in comparison to cheese whey (8.08 g L−1, 10 h) at the same conditions. However, regarding the ethanol yield (η), the cheese whey substrate was more effective, given that it achieved 76% of yield (η) and a volumetric productivity (QP) of 0.81 g L−1 h−1 in 10 h under fermentation anaerobic conditions. Biomass production and productivity (QX) were more satisfactory in the whey permeate under aerobic conditions (11.48 g L−1 and 0.75 g L−1 h−1, respectively), in 14 h, with a specific growth rate of 0.253 h−1. It has been obtained 86% of COD reduction at the end of the aerobic process. The authors are grateful to CAPES—Coordination for the Improvement of Higher Education Personnel for the financial support of this research.